Yesterday Antje traded some duck eggs for kale that we grow in the garden. The duck eggs are very yummy and I think I owe her a boatload more kale to make the trade fair! So for dinner I decided to make a quiche. My family and I love to cook and we take inspiration from all sorts of places. The thing is I take after my mum and usually change the recipes. 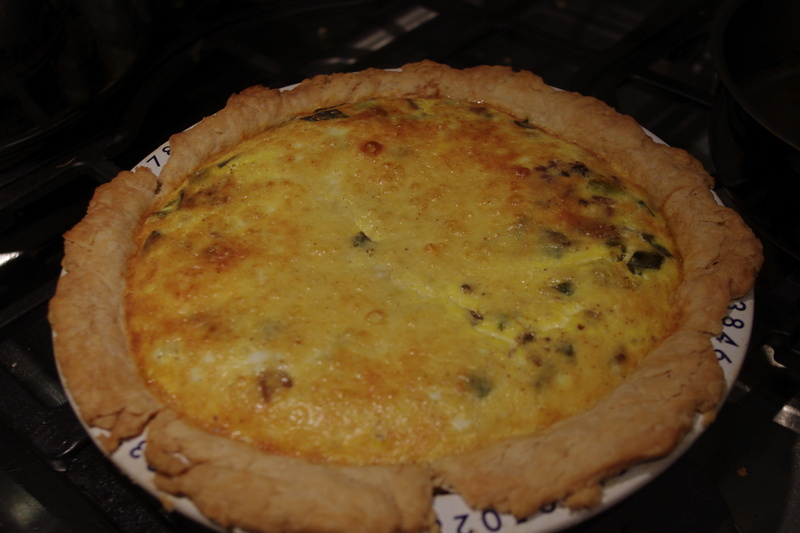 The inspiration was a recipe from Fanny Farmer’s Cheese and Bacon Quiche. I make it using my hands just like my Grandma did back in England. She was an amazing lady who could bake delicious things. 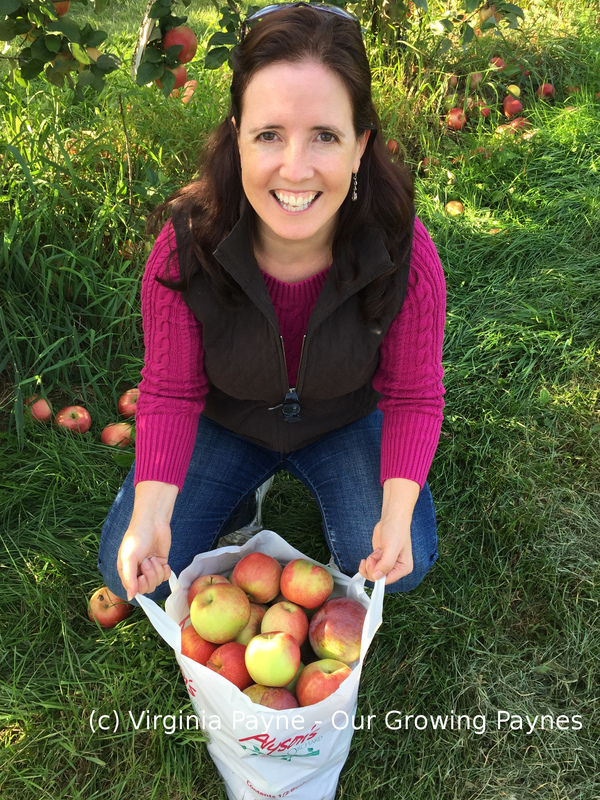 She taught my dad how to make pie crust and he taught me. It doesn’t let me down! 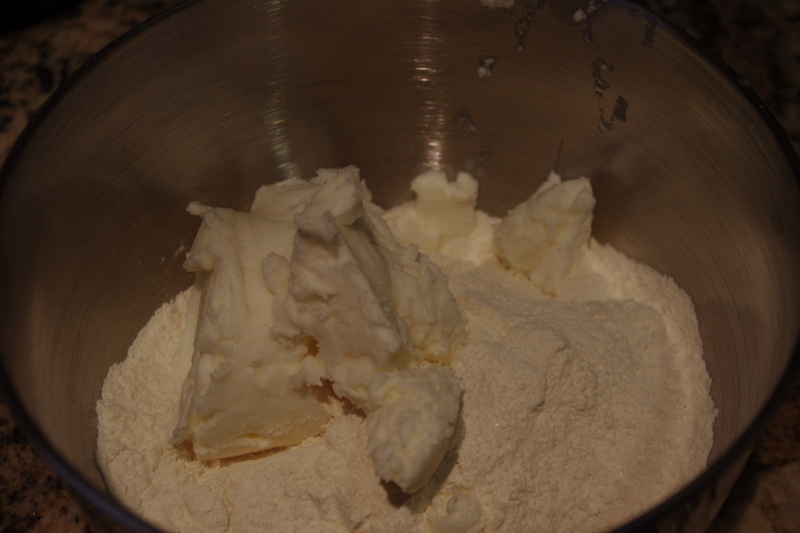 I just use flour, shortening, and a bit of salt. The key is not to overwork it! The feel of it will change depending on the time of year with the heat and humidity but not too much. 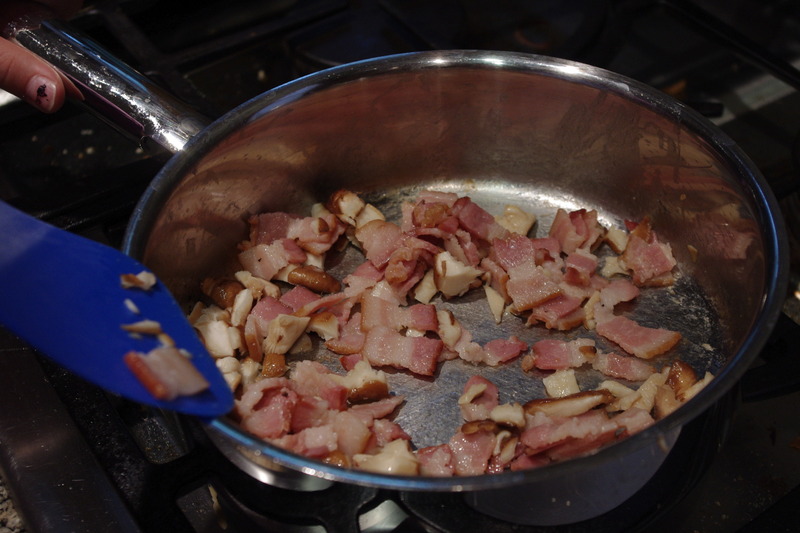 Once it is rolled out I put the bacon mixture in the bottom of the quiche. 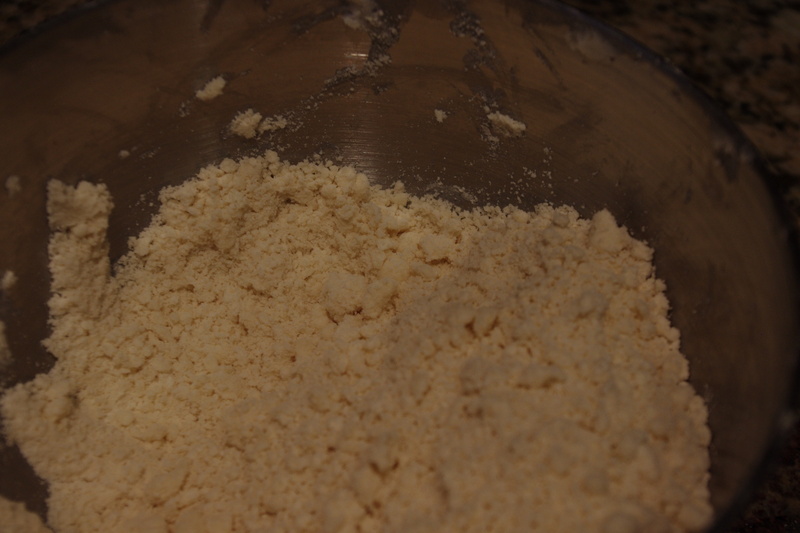 I mix all the other ingredients together and pour into the crust. I bake at 425F for 15 minutes and then 30 minutes at 350F. It takes about 20-25 minutes to prep. Let it cool for a few minutes then enjoy! 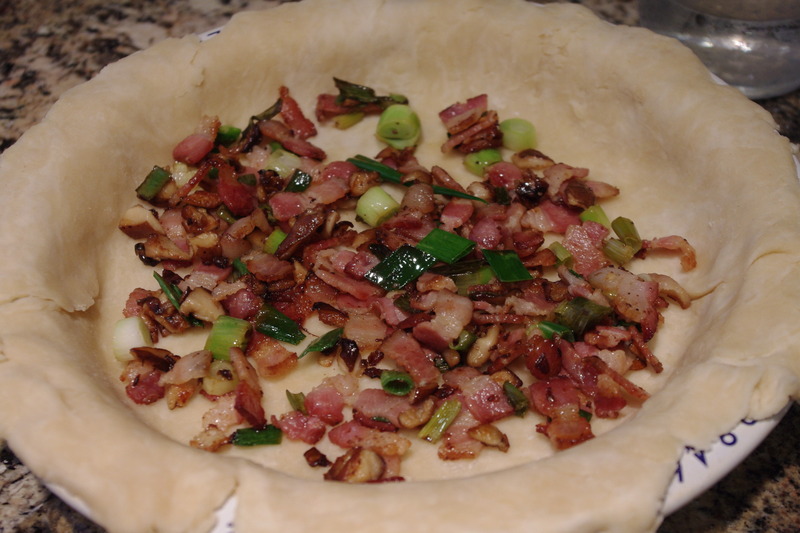 This entry was posted in recipes and tagged bacon, cooking, duck eggs, pie crust, quiche, scallions. Bookmark the permalink. wow, that sounds and looks yummy! I’ve never had duck eggs, or any egg other than chicken. Duck eggs are really great for baking. 🙂 You just have to adjust based on the size. 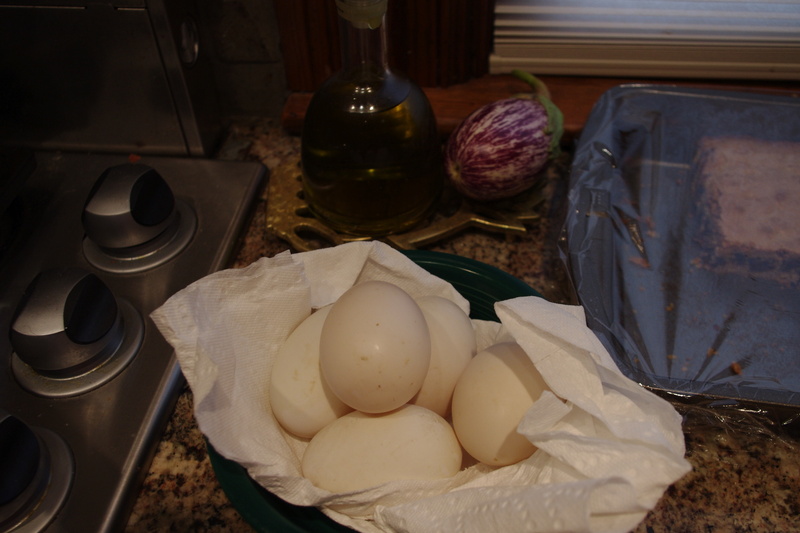 When I did the quiche with goose eggs I only used two as they are so big.